An essential amino acid has to be taken in from food and cannot be made in the body. A nonessential amino acid can be made in the body from carbohydrate and protein molecules. What is Essential Amino Acid? An essential amino acid is an amino acid that cannot be synthesized in the human body and thus has to be taken in via the diet. There are nine amino acids out of the 20 that occur, that are considered to be essential amino acids. The amino acids that are essential for us include lysine, threonine, valine, leucine, tryptophan, methionine, isoleucine, phenylalanine, and histidine. Essential amino acids cannot be made in the body and therefore need to be taken in with food. The best food to eat that contains these essential amino acids is a protein that is from an animal. In other words, complete protein foods such as eggs, chicken, duck, beef, and so on. It is possible to be a vegetarian or vegan and still get all your essential amino acids without eating meat. There are, in fact, a few vegetable sources that provide all of the amino acids, for instance, quinoa and soy. Certain protein combinations are known as complementary, and if you combine them, you will get all these amino acids. An example of this is whole wheat bread and peanut butter. These amino acids all have important functions in the body. Phenylalanine, for example, is needed to make various neurotransmitters such as epinephrine and dopamine, which are important in the brain. Similarly, the amino acid tryptophan is used to form serotonin in the brain. Valine and leucine are both important in forming muscle and repairing muscle tissue. Connective tissue fibers are formed using the acid threonine. Histidine is the precursor molecule for histamine and functions as part of the immune system along with the amino acid lysine. A lack of essential amino acids can have adverse consequences for the immune system resulting in reduced production of antibodies. This would make an individual more susceptible to becoming ill from bacterial or viral infections. What is Nonessential Amino Acid? A nonessential amino acid is an amino acid that can be synthesized in the human body and therefore does not have to be taken in through the diet. There are 11 amino acids that are not considered to be essential in the human body because they can be synthesized in our cells, provided we are in good health. These nonessential amino acids include aspartic acid, glutamic acid, asparagine, alanine, serine, cysteine, arginine, glycine, glutamine, proline, and tyrosine. Some of these amino acids can sometimes be considered to be conditionally essential meaning that they do need to be taken in through the diet, along with being made in the body. This is the case with children who need large amounts of tyrosine, serine, proline, cysteine, arginine, glycine, and glutamine. Nonessential amino acids can be taken in with food, which is more important for children who are growing rapidly. They can, however, be synthesized in the human body using the parts of carbohydrates and amino acids that are present. The vast majority of these amino acids are formed from alpha ketoacids and by a chemical process that is known as transamination. Transamination is a way in which an amino group is taken from a molecule and added to a ketoacid to form a new and different amino acid. These amino acids, although considered nonessential, still play an important role in the human body. They can be used to make other substances, and can even be converted to glucose to provide energy if needed. They are used to make other polypeptides and protein molecules that the body relies on. Deficiencies in nonessential amino acids are unlikely to occur in a healthy individual provided they are consuming enough protein and carbohydrates every day. There can, however, be problems if a person is ill or in a state of starvation. A deficiency in arginine is particularly common in babies that are born prematurely. This can then lead to problems in detoxifying and eliminating ammonia from their bodies leading to a state of hyperammonemia. Essential amino acids are those which have to be taken in with food as they can’t be manufactured in the body. Nonessential amino acids can be made in the body using other amino acids and carbohydrates. 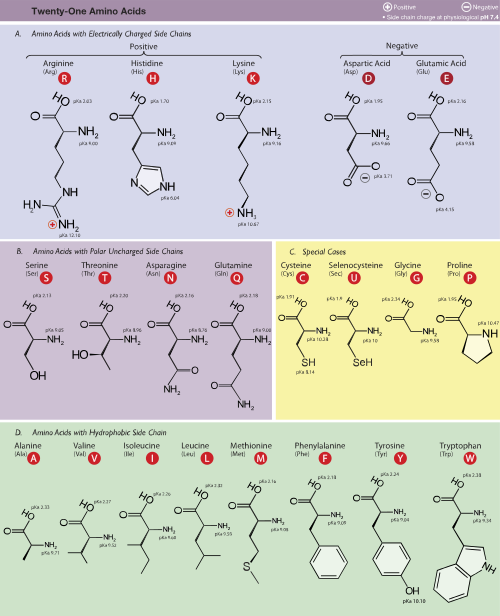 There are 9 essential amino acids out of the 20 that are known to exist. There are 11 nonessential amino acids out of the 20 amino acids that are recognized. Essential amino acids can be taken in through eating animal protein such as eggs and meat, and through eating vegetable sources like soy and quinoa. Nonessential amino acids can be made in the body from other acids and carbohydrates. The role of essential amino acids includes building and repairing muscles, and forming neurotransmitters for the nervous system. The role of nonessential amino acids includes making other substances that are needed and in providing energy. A deficiency of essential amino acids can result in a weakened immune system and lack of neurotransmitters in the brain. A deficiency of nonessential amino acids is rare, but during starvation or illness can occur; in premature infants this can cause too much ammonia to build up. Essential amino acids have to be taken in with food sources such as meat and soy or quinoa. Nonessential amino acids can be made in the body using protein and carbohydrates, by various transamination reactions. Some nonessential amino acids do become conditionally essential in childhood, which means they do need to be taken in with food. Dr. Rae Osborn. 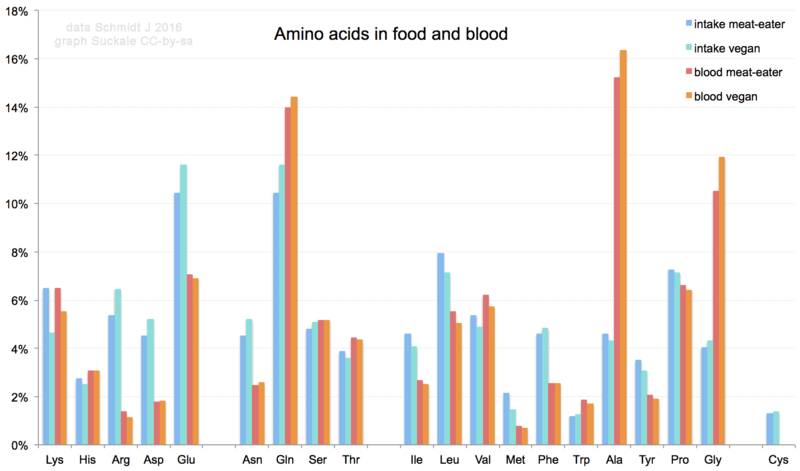 "Difference Between Essential and Nonessential Amino Acid." DifferenceBetween.net. March 5, 2019 < http://www.differencebetween.net/science/health/difference-between-essential-and-nonessential-amino-acid/ >. Jose, David G., and Robert A. Good. "Quantitative effects of nutritional essential amino acid deficiency upon immune responses to tumors in mice." Journal of Experimental Medicine 137.1 (1973): 1-9. Tipton, K. D., et al. "Nonessential amino acids are not necessary to stimulate net muscle protein synthesis in healthy volunteers." The Journal of nutritional biochemistry 10.2 (1999): 89-95. Volpi, Elena, et al. "Essential amino acids are primarily responsible for the amino acid stimulation of muscle protein anabolism in healthy elderly adults." The American journal of clinical nutrition 78.2 (2003): 250-258.